← Avon Park Offers Starlight Shuffling! It’s Working!! Why Not Try It In Your Club?? The Weather Adds to the Enjoyment!! 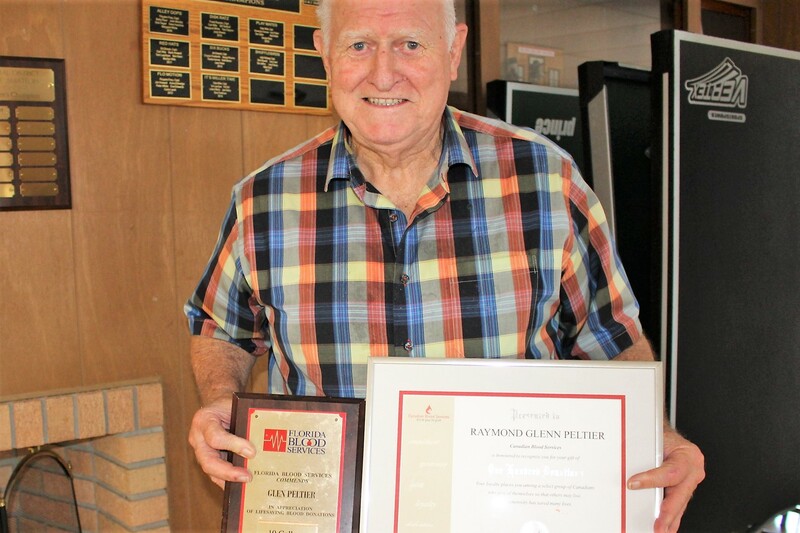 “I have always felt better after giving blood.” Glen Peltier Has Set A Fine Example!! It is NEVER too Late to Begin! Glen Peltier Speaks: I have hesitated in the past about talking about my blood donations over the past 62 years as it has been a personal thing with me. I always felt good about donating. 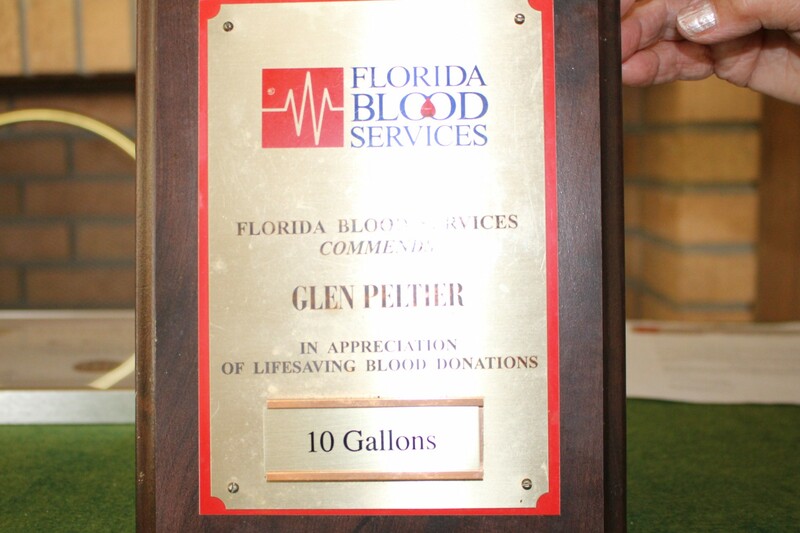 As the years went by, I was given many awards from both the Red Cross in Canada and the Florida Blood Bank. In Florida, I received my 10 gallon award three years ago. At the present time I am told my present donations have been 134 in Canada, and 84 in Florida. My oldest son Terry and I donated together many times. I want people to know it is harmless and good for you to give. As you get older your system makes a little less blood so now I just give three times a year. I hope to go on giving forever. I have always felt better after giving blood. Glen Peltier. 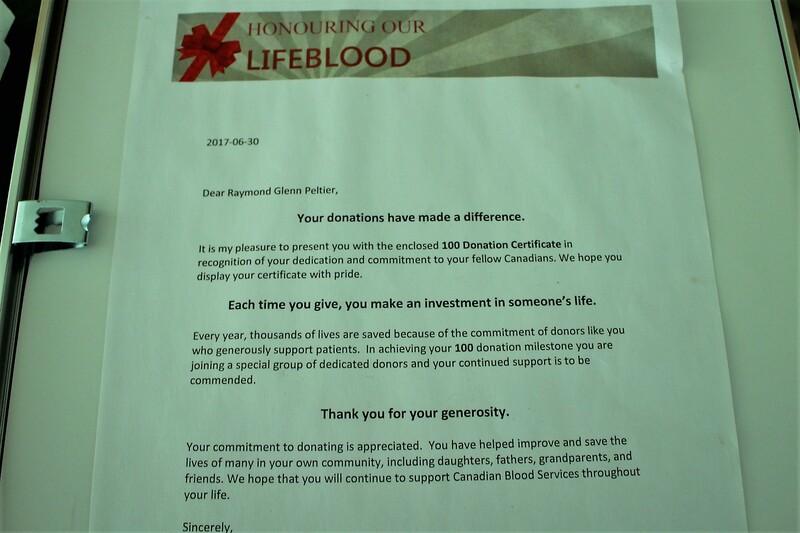 3 Responses to “I have always felt better after giving blood.” Glen Peltier Has Set A Fine Example!! It is NEVER too Late to Begin! I don’t know what you think, BUT I believe what Glen has done is QUITE AMAZING!! Lois’s life was saved during the birth of our 3rd child by reason of a blood donation!! THANK YOU GLEN!! I talked with you yesterday…..you look great so giving blood has not harmed you. The World Health Organization says that one sample of donated blood can save up to three lives. That being case Glen; you are undoubtedly responsible for saving up to 650 lives. That is a wonderful achievement, and like in shuffleboard your unselfish and generous attitude is unmatched and will always be recorded by your outstanding achievements.